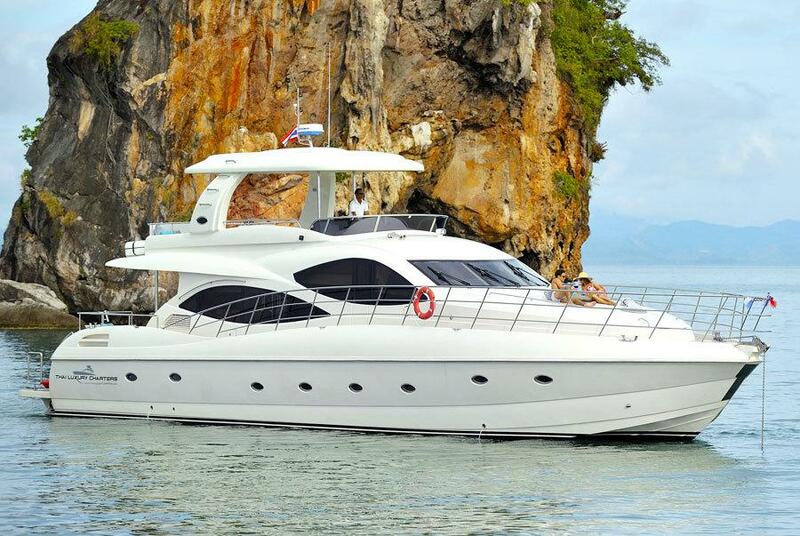 The yacht was built by Sunbird Yachts (China) in late 2008. She was originally designed for the European Market. 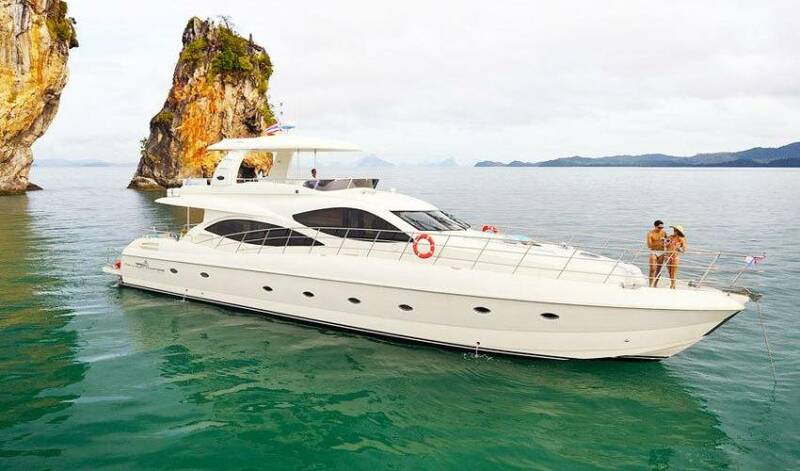 Moreton Bay Co., Ld purchased the yacht in late 2011 with only demonstration hours usage and then did extensive refurbishment to satisfy the Thai Luxury Charter market and better suit the hot tropical conditions. 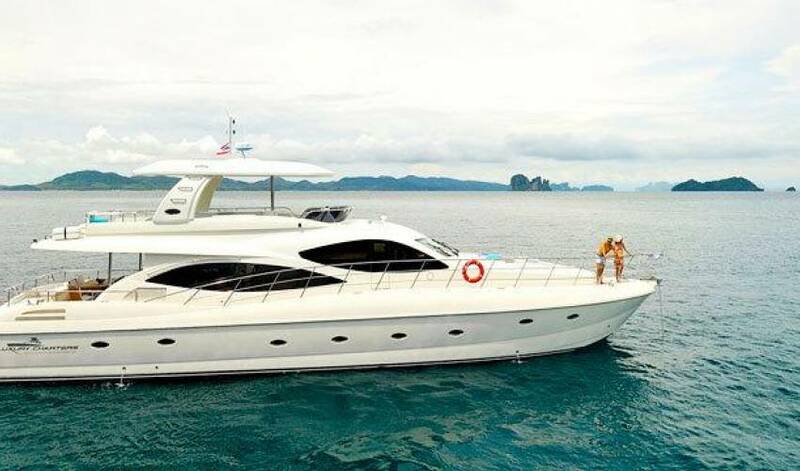 She is now almost a brand new boat with all modern electrics, video, sound systems, internet, toys and a sumptuous interior throughout as would be expected of any modern luxury yacht. 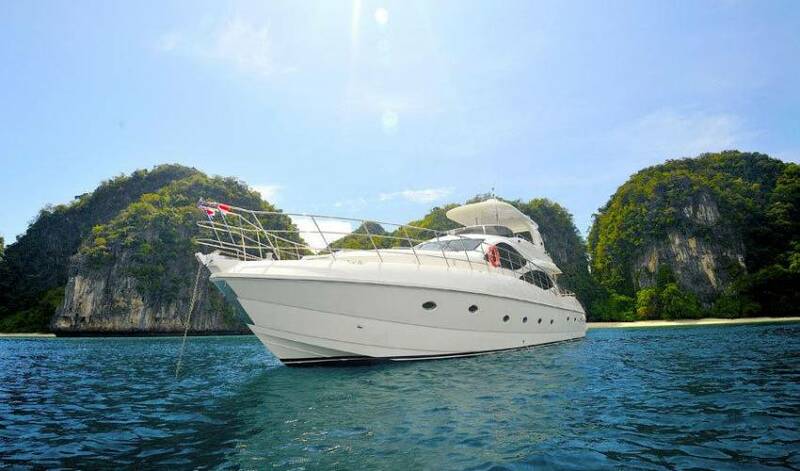 At 80 feet or 23.88 meters in length, with 4 bedrooms and extensive sun protected decks, she is very spacious for short or extensive journeys and the perfect hotel alternative for that special corporate function or occasion. 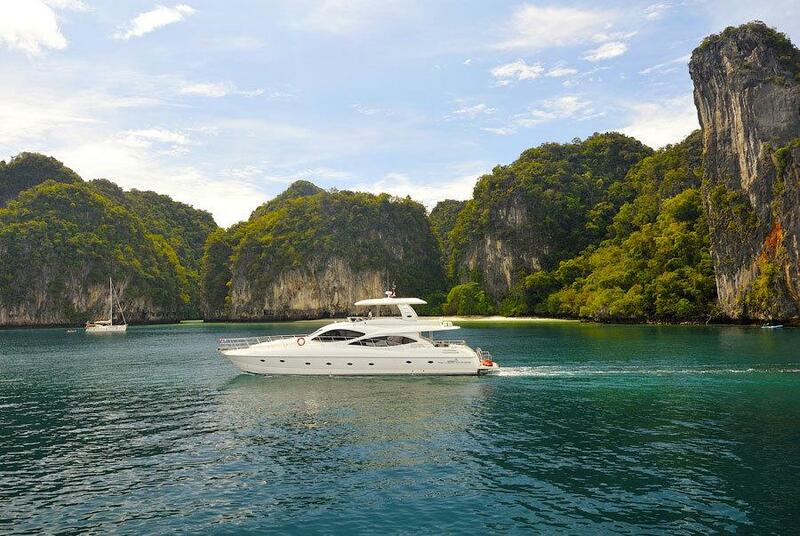 on the water depending on type of charter or event. 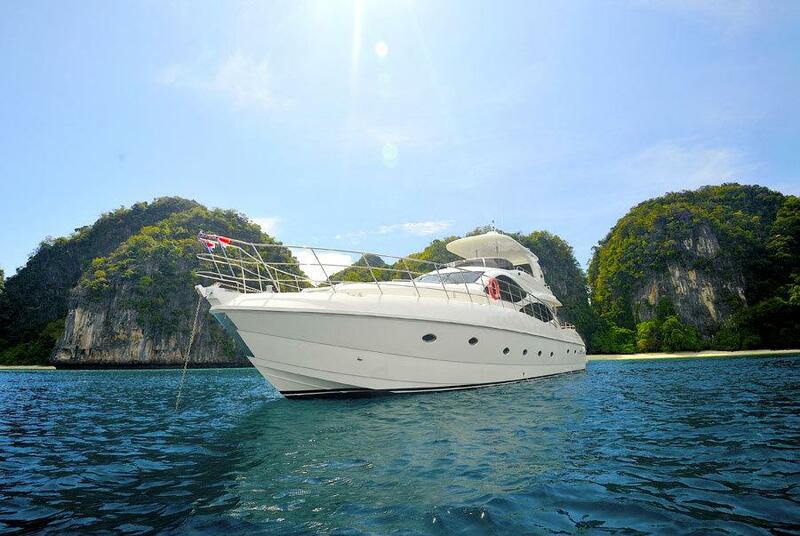 More can be accommodated while moored. Large lower deck for relaxing. Numerous outside sun areas. Removable table seating for 6 min. Latest HD TV / sound system throughout. 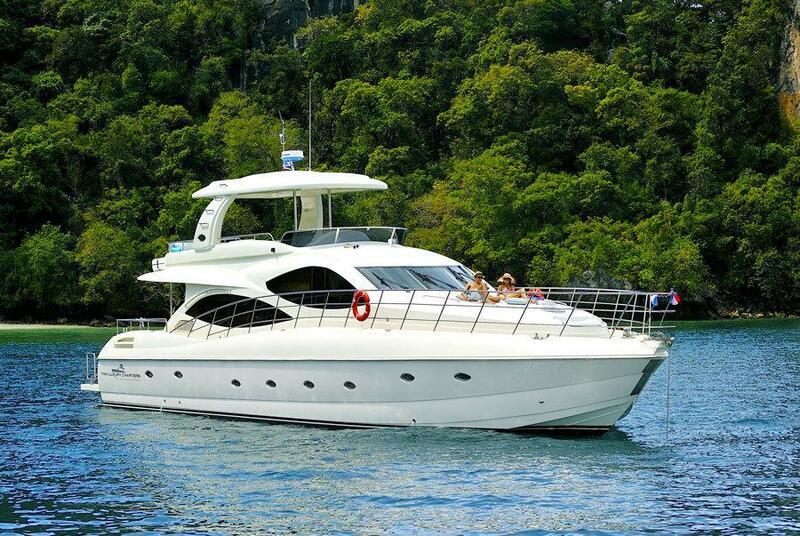 5 Professional permanent crew including certified Captain, 2 staff, 2 hostesses. 2/2 man kayaks, snorkelling equipment and international standard fishing gear. 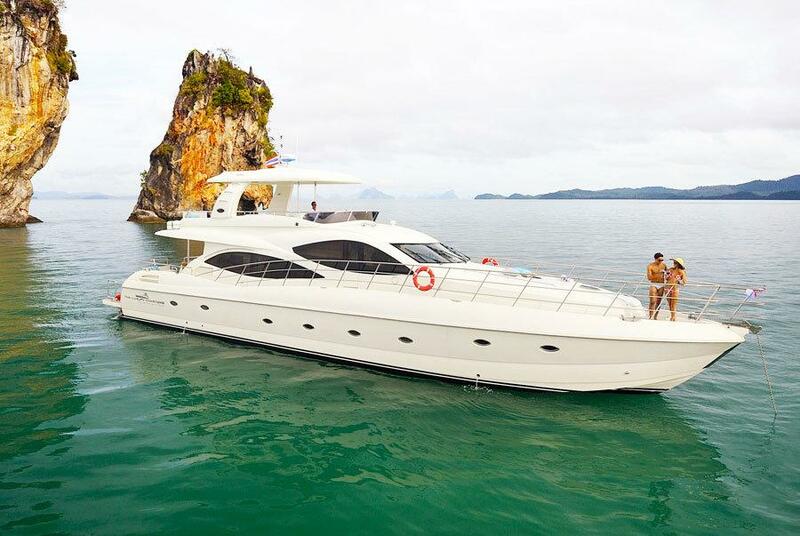 Your Yacht Charter Thailand trip with this luxury yatch has 5 permanent crew. They all speak very good English. 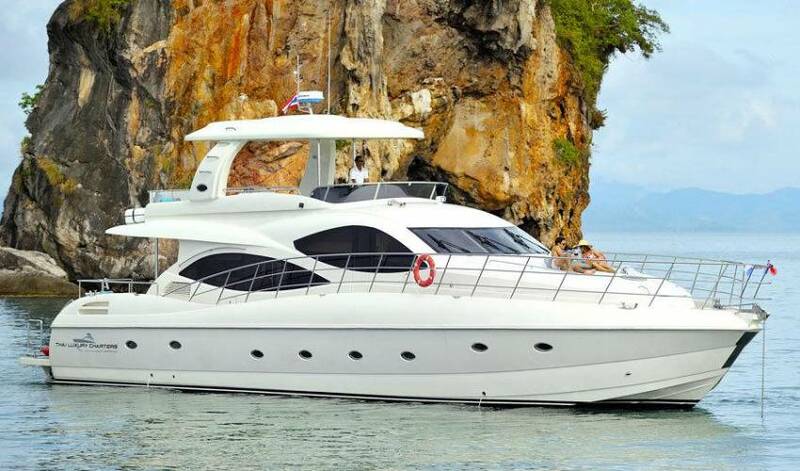 Captain Bao, a native of Phuket, is a certified professional with over 25 years experience in both Thai and Asian Luxury Boating. Second in Command Loi has worked alongside Bao for over ten years and will later take over as a Captain of another of our fleet. Ruun, our youngest member is a qualified Marine Electrical Engineer but still with many years on the water. And finally our hostesses - Mai and Tup Tap are both from the 5 star hospitality industry and will certainly make your trip a pleasant one. 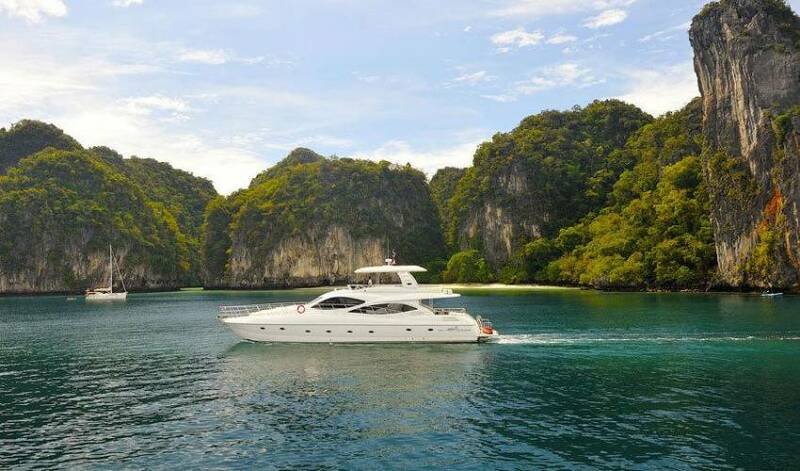 Ao Po Grand Marina is approximately 25 minutes drive from the Heroines Monument roundabout and a similar distance from Phuket Airport. Please see our map for easier reference and understanding.